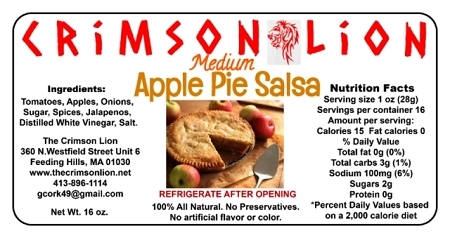 l Apple Pie Salsa-16 oz. Home > Shopping Store > Fruit Salsa Shopping Cart > Apple Pie Salsa-16 oz. Apple Pie Salsa is mouth watering and has an outstanding taste. Awesome for dipping with tortilla chips, or cooking with pork, chicken, etc.